The name of the game was low-water and utility. A tired and stale lawn was gleefully removed to make way for an outdoor room. A modest water feature adds lushness and vitality to an extremely drought tolerant space at a fraction of the previous water usage. 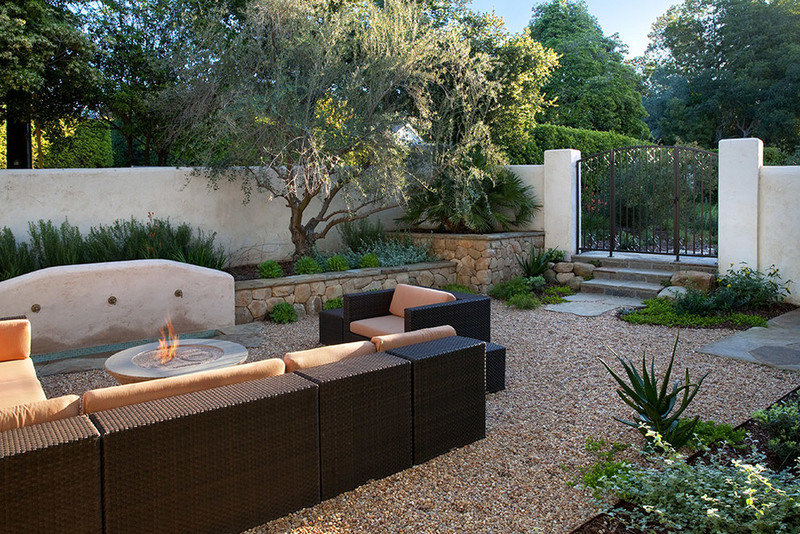 Succulents, agave, olives, fan palms, and other choice plants scream for an evening in the couch around the firepit. Landscape Contractor: Nesheim Landscape, Inc.